Ponce City Market is a mixed-use development located a few miles east of downtown Atlanta along the BeltLine. Covering over 1 million square feet, it suggests that no underutilized building is too large for innovative adaptive reuse and mixed-use creativity. Ponce De Leon Springs. Courtesy of Southern Spaces. Designed by Chicago-based Nimmons, Carr and Wright, Architects, the building was constructed as a Sears, Roebuck and Company warehouse, regional office and retail store in 1926. 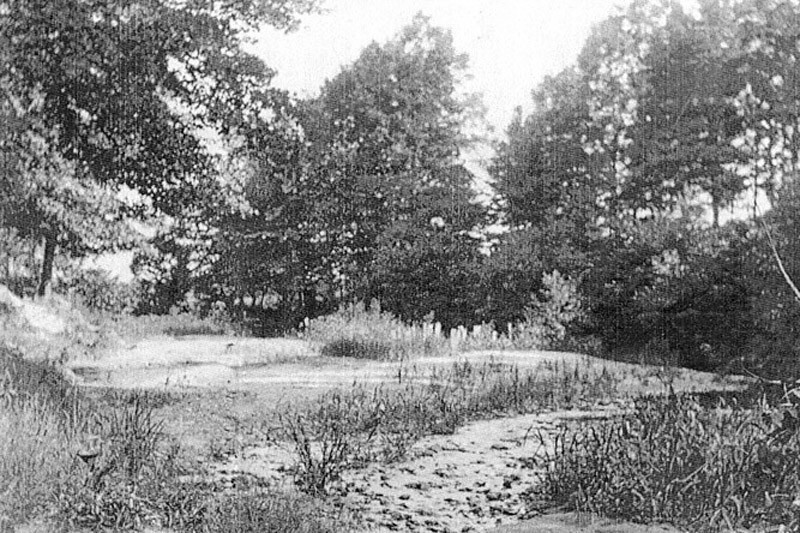 Prior to its construction, the 16-acre site was the location of Ponce De Leon Springs. During the 19th century, area residents believed the spring’s water cured illness. By the early 20th century, an amusement park dubbed “the Coney Island of Atlanta” was constructed on the site. 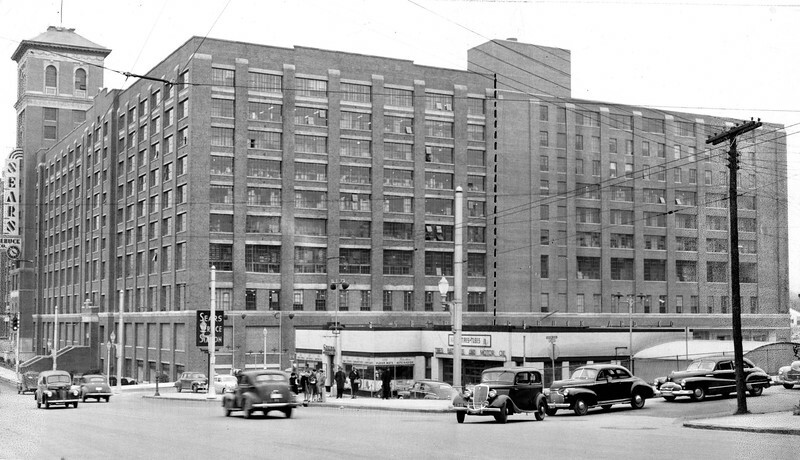 The Ponce City Market building when it was operated as a Sears store, regional office and warehouse. Courtesy of Access Atlanta. During the late 1960s, the complex was expanded to 2.1 million square feet, making it the largest brick structure in the South. Changing retail demographics led to the retail store’s closure in 1978 and Sears eventually abandoning the entire industrial complex in 1989. Between 1991 and 2010, the building was occupied by the City of Atlanta, who utilized the structure as “City Hall East”. 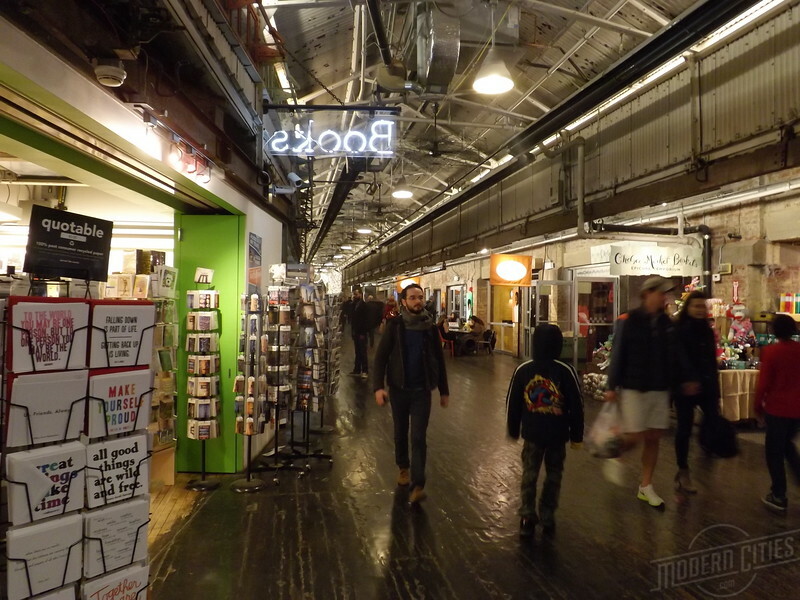 In 2011, with plans to create a nationally relevant food hall, the building was acquired by private-equity group Jamestown for $27 million. Similar projects Jamestown had been affiliated with included New York City’s Chelsea Market and Chattanooga’s Warehouse Row. The project’s redevelopment reduced the building’s square footage in half and included the construction of a 2,000-space parking garage inside its walls. Rooftop park image courtesy of Eater Atlanta. 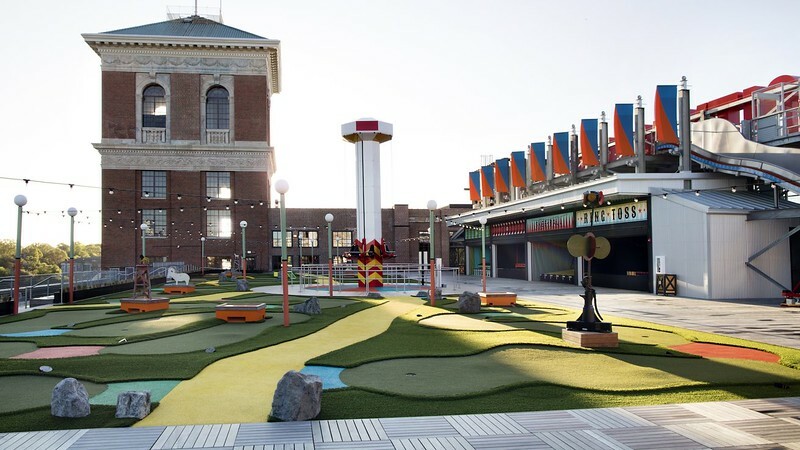 On August 25, 2014, Ponce City Market officially opened, joining an increasing list of former Sears stores and distribution centers being converted into new uses. New uses include the conversion to apartments in Dallas, a headquarters for Starbucks in Seattle and an REI, Best Buy and movie theater in Boston. In addition to being a food market, the Ponce City Market mixed-use development contains restaurants, office space, loft apartments, exhibition spaces and roof gardens. 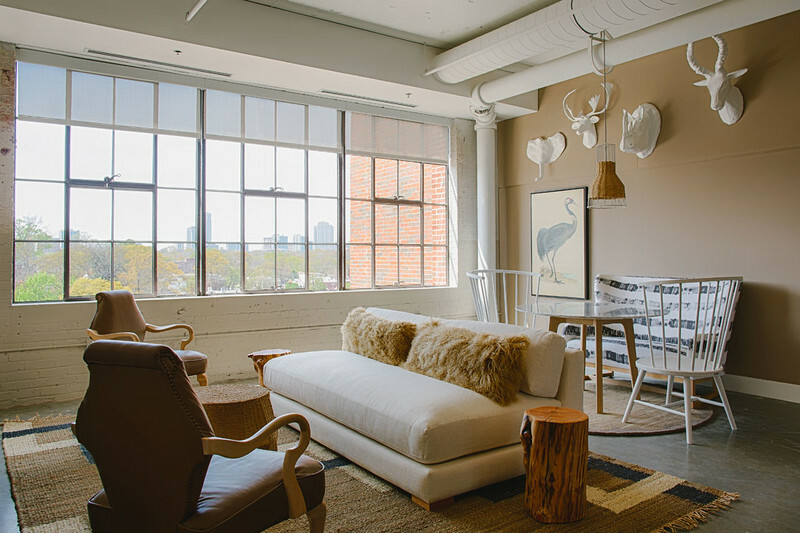 Inside a loft apartment at the FLATS at Ponce City Market. Courtesy of the FLATS at Ponce City Market.